Last month, ITSMA celebrated the release of our new book, A Practitioner’s Guide to Account-Based Marketing: Accelerating Growth in Strategic Accounts, with festive events in London and New York. 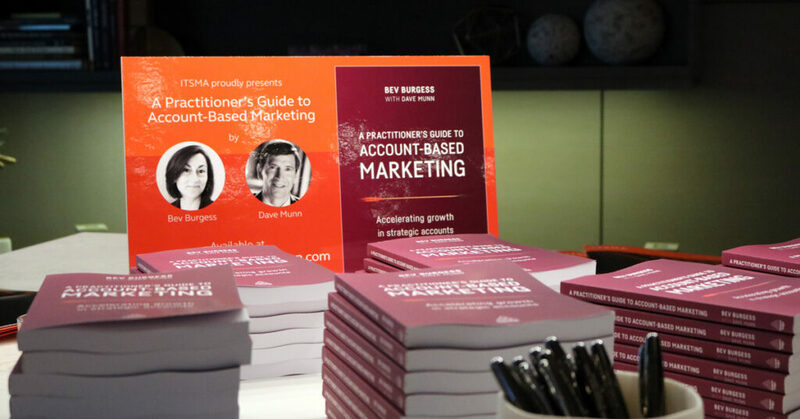 Both events brought ABM leaders and practitioners featured in the book together with members of the ITSMA community and others interested in account-based marketing. The London event, held on March 2 at One Alfred Place, was hosted by author Bev Burgess, Senior Vice President & ABM Practice Lead, and kicked off with remarks by Dr. Charles Doyle, Global Chief Marketing and Communications Officer, JLL, author of Oxford Dictionary of Marketing, and one of the pioneers and collaborators with ITSMA in the early development of ABM. With more than 30 years of marketing experience, Doyle appreciates the history of ABM and how companies have used it for years to build relationships and growth with key accounts. But he also lauded the recent evolution of ABM and the great opportunities for a new generation of marketers to utilize new tools and techniques while building their own careers as ABM practitioners. Along with Doyle, the London launch featured comments by two other practitioners highlighted in the book. Andrea Clatworthy, Head of Account-Based Marketing, Fujitsu and Dorothea Gosling, ABM & Pursuit Marketing CoE Leader, CSC, each shared their stories about ABM and how it has transformed their businesses and careers. See video highlights from London. The New York event, on March 28 at The Westin New York at Times Square, similarly featured ABM practitioners from the book, including Eric Martin, Vice President, Customer Experience Marketing, SAP, and Raianne Reiss, Director, Americas Marketing, Juniper Networks. 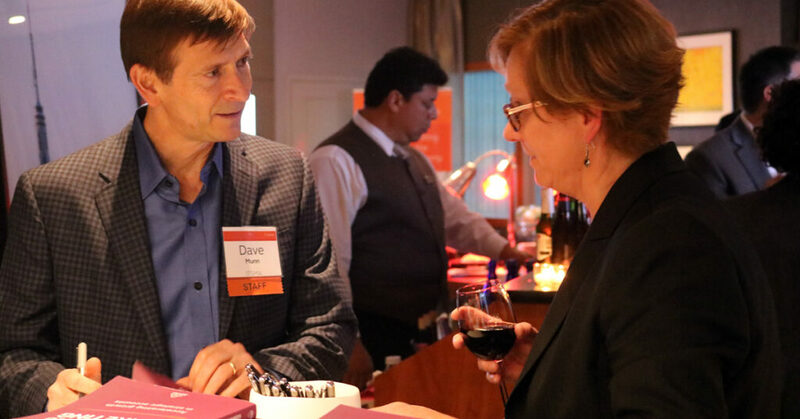 Hosted by ITSMA President and CEO, Dave Munn—co-author of the book—the reception also included remarks by Chris Williams, another ABM pioneer while at Capgemini in the late 2000s. All three shared their ABM journeys with the attendees, reinforcing both the strategic business benefits of ABM and the personal and professional gratification of building and leading ABM programs. Ready to buy a copy? Learn more about the book and other ABM resources at http://www.itsma.com/abmbook/.